Noni – is it a drug? The FDA continues to cite claims for ingredients and claims in referenced publications as claims for the product itself as noted in my earlier post, FDA Cracking Down on Cosmetic Product Claims. A warning letter issued May 16th, to Matrix Health Products, is a good case in point. While the products are nutritional supplements, not cosmetics, what’s interesting is what the FDA referenced as the claims made for the products. In the letter, the FDA stated that several of the products offered by the company were “unapproved drugs” because the materials stated that the products were used for the “cure, mitigation, treatment or prevention of disease”. Drug claims in several different forms were cited. The claims were for the ingredient – not the product itself – which continues to confirm the FDA’s position about claims for ingredients being claims for the actual product. When publications are used commercially by the seller of a product to promote the product to consumers, such publications may become evidence of the product’s intended use. 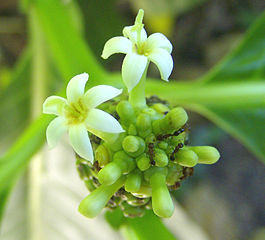 Subsequent to that statement, the FDA cited for quotes from, and references to, articles from several magazines that promoted the benefits of Noni. And finally, the FDA cited for “disease claims in the form of personal testimonials“. A product, except soap, intended to be applied to the human body for cleansing, beautifying, promoting attractiveness or altering the appearance. Make only cosmetic claims for your products and ingredients. Don’t quote or link to publications that claim that the product or its ingredient(s) will cure, treat, mitigate or prevent disease. Don’t use testimonials that the product has cured, treated, mitigated or prevented disease (even if it has). This is such an easy trap to fall into! Thank you for finding such a great example to show what can’t be done. Marie, I’ve read your Soap & Cosmetic Labeling book a few times but still have occasional questions. If I am stating that a soap contains natural exfoliants be it coffee grinds, seeds, oatmeal, whatever. Does this cross the line from being a soap to a cosmetic? If so, then are names like Gardener’s Soap, Chef’s Soap, Mechanic’s Soap then considered cosmetic if there is no mention of exfoliation? Thank you for your expertise on this question. A product that exfoliates is a cosmetic. So if you state that a soap exfoliates (a cosmetic claim), then the “intended use” is as a cosmetic, and requires the ingredient declaration. The NAME of the product wouldn’t necessarily change the intended use to that of a cosmetic unless it specifically includes a cosmetic claim. I don’t think stating who the soap is FOR – especially when you’re talking about a job as opposed to a, say, a skin type – is a cosmetic claim. In order to qualify for the soap exemption from the FDA, the product must be primarily the salt of a fatty acid (soap made with oil, lye and water), be identified as “soap” and the only claim is that it cleans. Remember that even if it’s exempted from FDA authority, the package labeling still must comply with the FTC (Fair Packaging and Labeling Act) and any state regulations, which generally means that the name, product identity (“soap”), net weight and responsible person must be included on the label. Only the FDA requirement for ingredients is no longer applicable. I’m confused about the differences between the required ingredient declarations for soap and cosmetics. I know soap isn’t required to list ingredients, but it’s highly recommended and I always do. Cosmetics need a warning of some kind too, I think. I was asking about labeling in a group and I stated I didn’t want to get in trouble for making claims so I only claim my soap cleans. Someone replied that all I needed was to do was just use cosmetic labeling by using the declaration of ingredients. That’s what’s confusing me because the rules look the same to me. Am I overlooking something? The fundamental labeling rules are the same; any consumer product must include the identity of the product (“soap”, “lotion,” etc. ), the net contents, and the business name and address. For NON-COSMETIC products, the labeling regulations are written and enforced by the Federal Trade Commission. For COSMETIC products, the labeling regulations are written and enforced by the FDA. In addition to the three items listed above, cosmetics require the ingredients to be declared on the package. There are some additional regulations for cosmetics as well, including warning statements for certain items (bubble bath, sun tanning lotion without sunscreen, feminine hygiene products) and only approved color additives may be used. So you’re right that the labeling regulations are similar … they are. The fundamental labeling regulations are all based on the Fair Packaging and Labeling Act which defines what must go on the label of a consumer commodity. So if you say who the soap is for such as baby soap, gardeners soap or teenager soap would the product still be considered soap or a cosmetic.? I don’t think that calling it “baby soap” or “gardener’s soap” violates any of those three criteria.